Knowledge Zenith, also known as KZ, gained a lot of notoriety thanks to their cost-effective in-ear headphones and accessories. Their flagship products have been especially sought after in recent months because of their value/price ratio and likeable tuning. Their previous flagship, the KZ ZS5, has been praised for its sound by many, but it also sparked a wave of criticism due to the design being copied from Campfire Audio and a controversial use of drivers. The KZ ZS6 is an evolution of the ZS5 whose housing is made of aluminium and sports grilled vents on the exterior. Disclaimer: I received a review sample from AK Audio which I will be able to keep. You can buy a unit from them here and get a discount using the code RRO while checking out. Most other products by KZ come in a cardboard box with a plastic front cover. 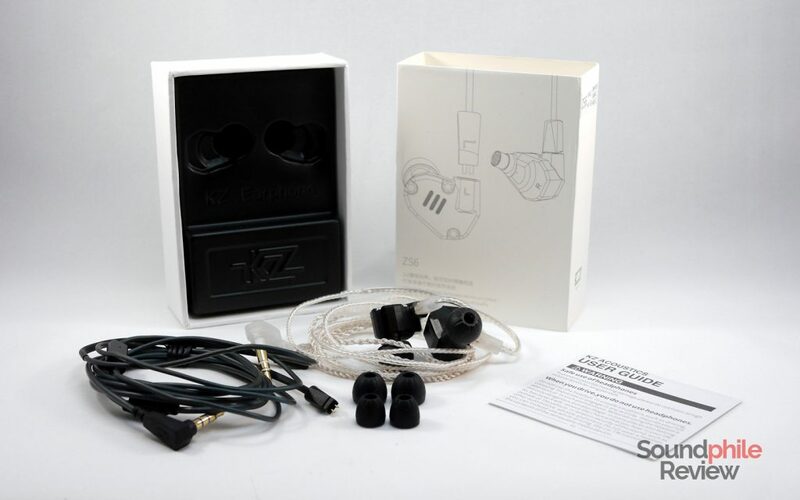 The KZ ZS6 comes in a cardboard box which slides out from another cardboard box. Inside there are the two earpieces, the cable (with 0.75 mm pins) and three pairs of eartips. A silver-plated (SPC) cable can be bought separately (it was kindly provided by AK Audio). It’s all very simple and the approach is practical and even a bit spartan. No fancy accessories, no nice additions. It’s just what you need for a basic listening experience. There’s no excuse for how KZ ripped the design of the Campfire Audio Andromeda. It’s almost a carbon copy, save for the grilles. This comes after a few earphones where KZ had a chance to experiment and make its own design brand, so I wonder why they resorted to copying another company. The design is very nice, anyway, and the build is good – except for the right receptacle which has a lot of play (I suspect it’s because of my unit being faulty and not a general issue, given how the left one is solid, but it should not happen anyway). The housing is made out of aluminium, instead of the ZS5’s plastic, and they are sturdy and solid. 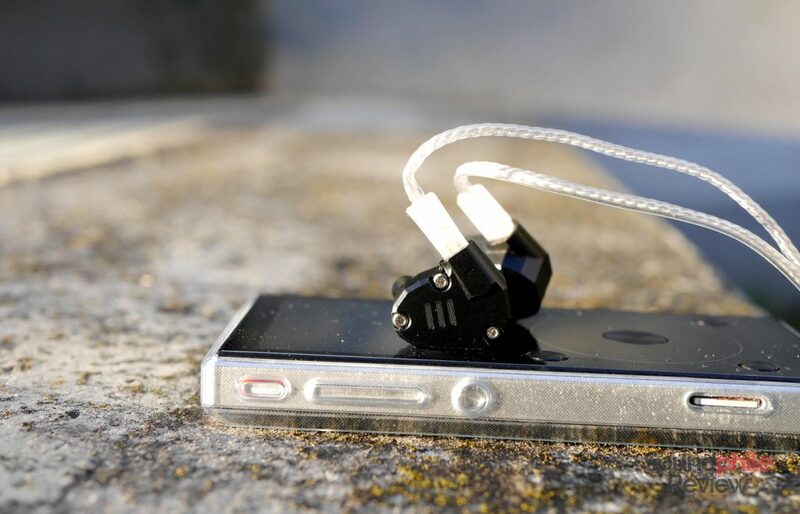 The cable slides into the receptacle effortlessly and fits perfectly with the earpiece. 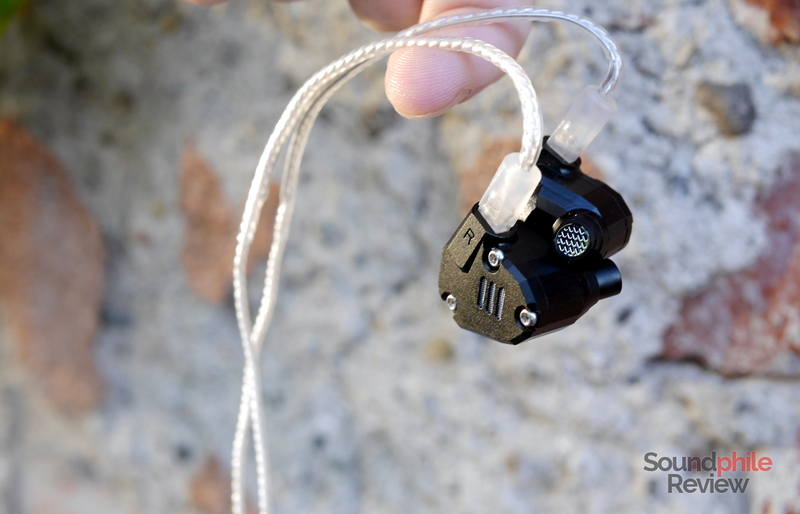 If there’s anything the Andromeda design is not good at, however, that is comfort – and the same applies to the KZ ZS6. Comfort is a very subjective matter and making general assertions is always risky, but I do not see how a very large housing with sharp edges could ever be comfortable. My ears scream in agony after just a few minutes wearing the earphones. I can’t wear them for more than half an hour, often even less. They are among the worst in-ear headphones I ever tried in terms of comfort, and that’s no hyperbole! It may be a matter of being used to wear them, but it makes me wonder whether using a comfortable design from the start wouldn’t have been a better choice (yes, it would). After using them for more than a week, my ears seem to have yet to adapt to them – I will update this review in the future if this ever changes. Given the cable is detachable, it can be replaced with any compatible cable on the market with double 0.75 mm connectors. The market is teeming with products and KZ manufactures its very own aftermarket, silver-plated cables. They are made of four woven cables; they’re very soft and plastic, a trait which has pros (they’re not springy) and cons (they’re easy to bend and, I suspect, damage). The cable is, however, a generic one that does not take the shape of the earpieces in consideration. 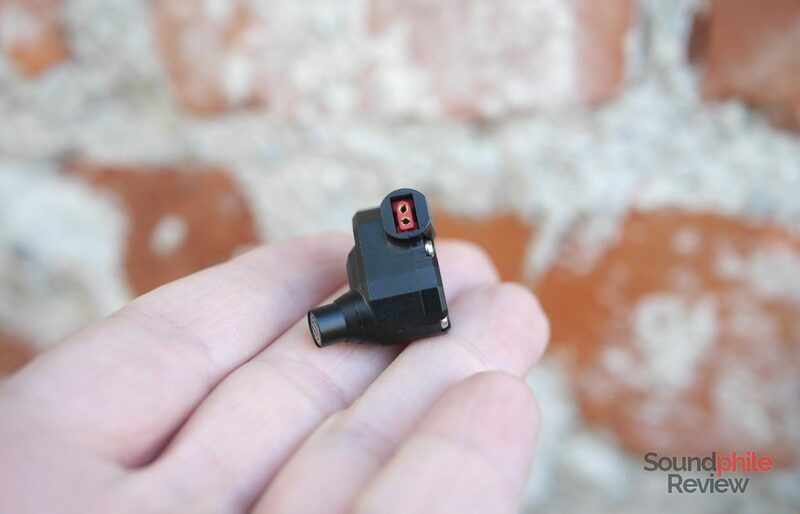 While it works very well on the KZ ZST or ZS3, the plastic end which houses the two-pins connector is too long and requires you to bend the cable dramatically to have it pass behind your ear pinna. This is subjective, of course, but since I have fairly large ear pinnae I think it could be a problem to those with smaller ones. When it comes to isolation, the KZ ZS6 performs poorly even using super-sealing Comply foam tips (more details on them in my article on the best eartips). Wearing them on public transport I could not hear music properly at reasonable volume, and even in quiet environments I was well aware of the surroundings. While testing the KZ ZS6 I used a variety of sources to test them: a Head ‘n’ HiFi Objective2 amplifier fed by a Topping D30 DAC; an Aune M1s; a FiiO X3 III; a Topping DX7; a Lenovo K3 Note smartphone. Files used were FLACs at standard res (16 bit, 44.1 kHz), with a few hi-res FLACs and MP3s (320kbps). The earphones had got 100 hours of burn-in before listening tests were performed. The company is advertising the four drivers nature of the headphones: two dynamic drivers and two balanced armature drivers. The low impedance can be attributed to the presence of the two balanced armatures; given it is 15 Ω, the KZ ZS6 can be easily driven by any source including mobile phones. Soundstage is intimate, with sound being presented close to the listener. It seems to be similar to the ZST, though it has far better layering: as an example, Russian from Tubular Bells 2003 has layers of guitars which are clearly distinguishable and laid out. Imaging is very good, as you can point to instruments relatively easily. Instrument separation is different: it’s great and it may well be among the best I’ve heard in sub-50$ in-ear headphones. You can separate each instrument even in very complex tracks (i.e. Finale from the aforementioned Mike Oldfield album, or Massive Attack’s Angel). The KZ ZS6 stands in KZ’s traditional sound with powerful lows and elevated treble that makes it V-shaped, though not excessively so. However you look at them, they are not neutral, though the overall tonal balance is pleasant and engaging. Bass is deep and powerful and it’s capable of being very polite but also to show lots of strength when needed. In terms of quantity, it’s in a sweet spot where it can take on most genres without sounding excessive, though it does add substantial body to the music. Not only it is deep and rich, but it’s also detailed and textured, showing off great control – way better than what I’ve heard from other headphones in this price bracket. You can listen to Friedrich Gulda’s Blues for H.G. from its incredible album As you like it and be amazed at the bass control as much as you can listen to the rage of Perturbator’s Tactical Precision Disarray and enjoy how bass is deep and fast. Mids are accurate and natural, though they seem a tiny bit recessed. They’re not as recessed as on V-shaped earphones (i.e. the UBSOUND Fighter), but it is noticeable in crowded tracks. They’re fast, though not quite as fast as those on the Venture Electronics Asura 2.0, and this makes them very detailed. They’re also very clear, though not especially airy. There seems to be a spike in the upper mids, as they are more pronounced than the rest; this is not, however, due to the natural spike in perception in the 3 kHz range, as they can be even annoying. As a practical example, the sound of fingers sliding on the guitar strings in I skumringstimen by Vàli is almost piercing, while using other headphones (i.e. RHA T20i, Meze 11 Neo) they are not as fatiguing. This is indeed an issue, as the sound can become distracting or annoying. Treble is going to be disappointing for some. As I previously stated, it’s elevated and it’s prominent, so you will always notice it and have it almost shoved in your face – which is not too bad, given it is decently detailed and natural. It is extended, but it is not airy and wide – it does not add that airy, breathing feeling to the music as in the T20i, just to make an example. They’re dry and super-focused, which may be polarising. All in all, I would say the KZ ZS6 is not accurate nor ideal for those looking for a reference-class sound, but they are more on the fun side. They’re very entertaining and also a good choice for casual listening. The level of detail being portrayed is nothing short of awesome at this price point, and that’s the reason why I believe they can be great introductory headphones or a nice addition to any collection. That’s also part of why KZ has become so popular lately. Given the way the KZ ZS6 sounds, my opinion is they can be used for most genres, though they will not excel in those that need reference tuning – while some classical tracks may sound well, as an example, most will not be tuned right. On the other side, rock, metal, pop, electronica and other modern genres where a bit of added low-end strength is welcome sound good. RHA T20i: the RHA T20i are more open and wide, thanks to a much wider soundstage representation, with a greater focus on mids. Detail retrieval and instrument separation is better on the ZS6, despite the RHA headphones costing four times as much. The tonal balance seems more natural on the T20i, whose bass is also less pronounced. Xiaomi Mi In-Ear Headphones Pro: Xiaomi’s latest flagship earphones have weaker bass and worse imaging, but better overall balance. Detail retrieval is slightly better on the ZS6, as is almost every other aspect. While the Mi In-Ear Headphones Pro (or Piston Pro) are indeed good headphones for their price, they are outmatched by the KZ ZS6. 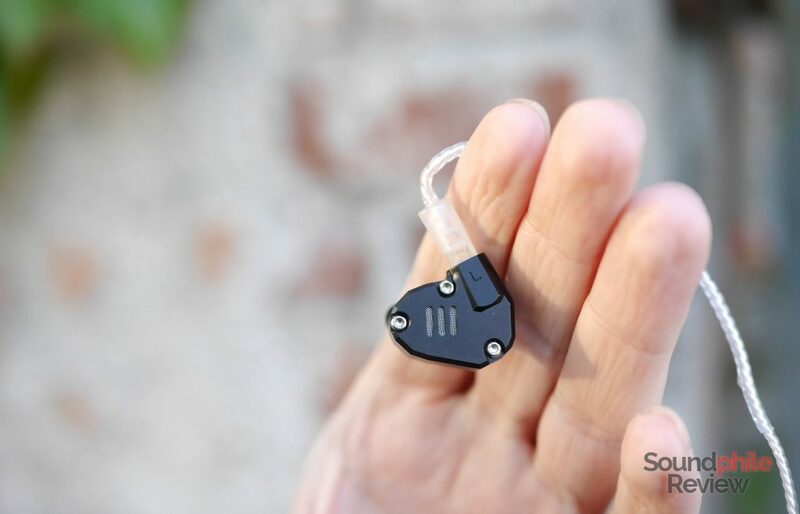 Meze 11 Neo: Meze’s in-ear headphones are fun-tuned earphones like the ZS6. Although I stated they are among the best sub-60$ earphones on the market (a statement I still uphold), they have worse extension, less overall detail and worse instrument separation. They have a larger soundstage, though, and their imaging is slightly better. The only KZ product I had tried before listening to the ZS6 was the ZST, with the ZSE and ZS3 that were delivered to me at the same time (and which I couldn’t properly compare the ZS6 to). What I did expect was a nice product with good-but-not-great sound, that would not offer anything truly special. If anything, reading the comments about the ZS5 v2 being terrible, I was expecting the ZS6 to be unremarkable. I must admit the KZ ZS6 is a nice surprise, especially because of its value for the asking price – considering that it is going to fall sharply in the coming weeks, the value will be even larger. They sound way better than their price would suggest and on par with headphones that cost four or five times as much. 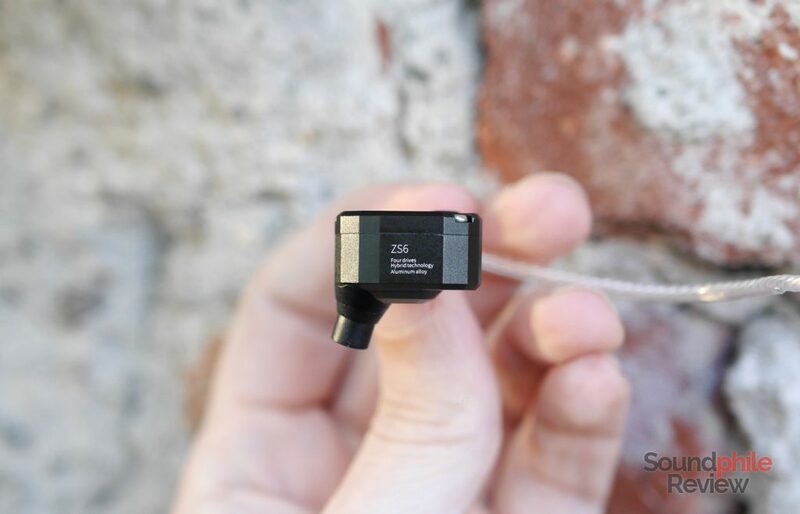 What I want to remark, though, is the fact that KZ stole the design from Campfire Audio and got itself in an awkward position with the ZS5 – and this last bit could well be the reason why they pushed the ZS6 to the market so fast. The KZ ZS6 does sound good, but it is up to you to decide if you want to support the company behind it. The KZ ZS6 retails for ~45$ at the moment this review is published. Go on headfi and see slater zst balanced armature foam mod. Well the earphone was fantastic earlier, now they slay andromeda. All issue which remains is balanced armature coherency to dual dynamic at the back. Thnk you good sir ! Thank you for your kind words. Are you looking for foam or silicone eartips? Hi Riccardo. Did you try the grey one of ZS6? I think they are different compared with the black/red/green. At first, the nozzle is different for morph and dimensions. I bought three pair of them, two grey and one red. The greys ar similar between them, but much different with the red. The red sound more V shaped, with a bit of sibilance. The grey are better equalized, with mids more forward and without sibilance. It seems a second version. I hope you can verify. I did not try the grey one. It may be possible that there are changes due to different production runs, similarly to the ZS5. It is the first time I hear about this change in the ZS6, though. I will investigate on the matter, thank you for the input! Hi Riccardo. Did you investigate about the differences between the Red/black Zs6 and the grey ones? I did not find any specific information about it. Alas I haven’t got my hands on a red unit yet, and I think it will take a good bit before I will possibly have a chance to do that. I haven’t tried the red, black or green one, but I’ve got the grey one. I haven’t felt much of the sibilance problem everyone’s talking about. It may be true that maybe so.